Here we are back again with another set of VAANI Competitions. Next phase is neigh. So group up, practice and show to the world what you've got. REGISTER NOW!!! As we have limited time slots available. 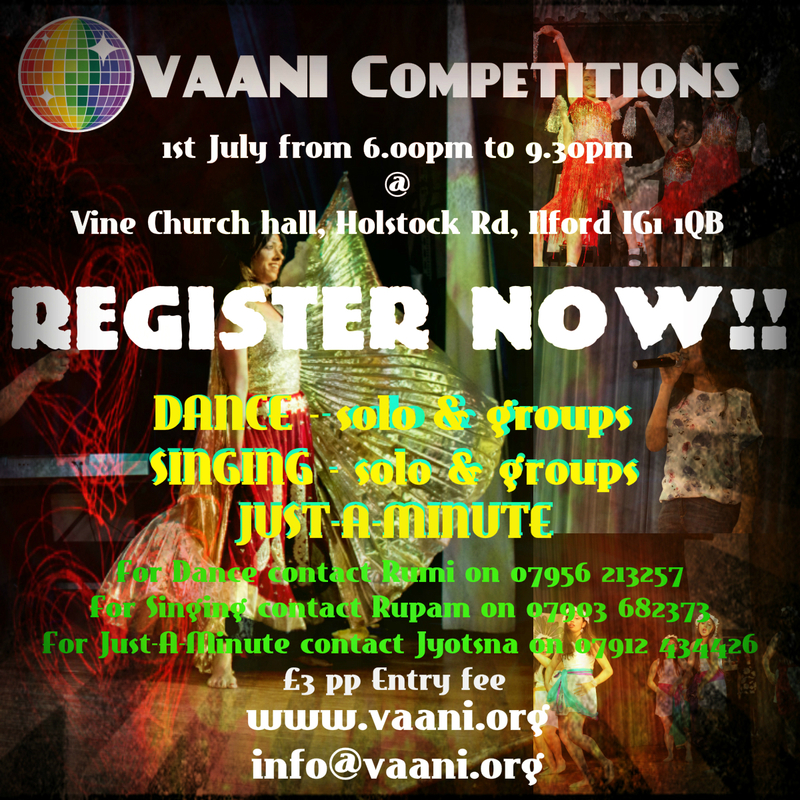 VAANI Competitions on 1st July 2017. 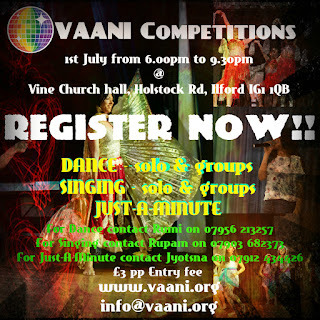 VAANI Dance, Singing and Just-a-minute Competition. Looking forward to receiving your entry.